For 33 years, the city of Morro Bay has held its annual Morro Bay Lighted Boat Parade. It's a staple in the coastal community, where boaters decorate their vessels and travel up the bay for spectators to enjoy. But the city was looking for a way to expand the parade and bring in more activities for the community as well as foot traffic for local businesses during the holiday season. 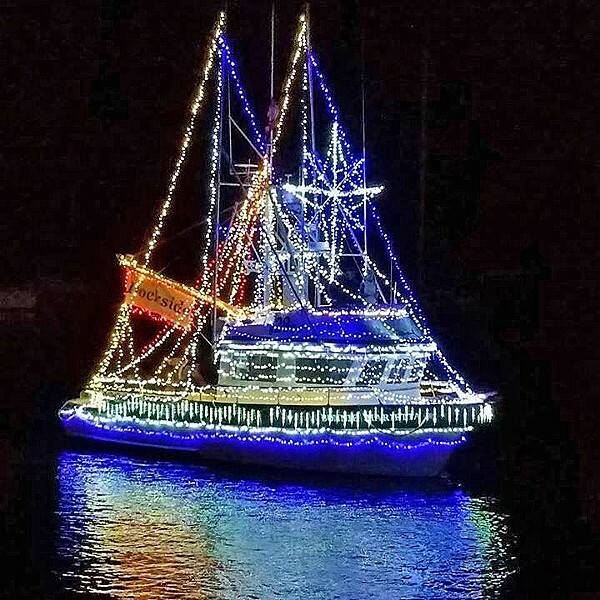 HOLIDAY AT SEA For 33 years, Morro Bay has been lighting up its waters with the Morro Bay Lighted Boat Parade during the first weekend in December. It was a job for Teri Bayus, who's had her share of event planning from the Central Coast Writers Conference to the Pismo Beach Clam Festival. 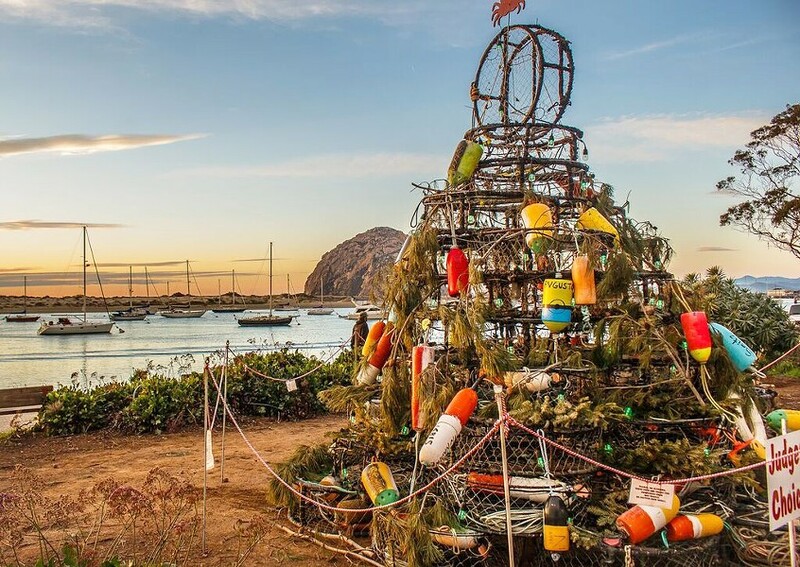 She's now the creator of Morro Bay's newest holiday festivities, Winterfest. It's 16 days of snow, a Santa crawl (similar to a pub crawl), vendors, visits with Santa, gingerbread-house making, and more. This will be the second year that Bayus is running the show and she's hoping to make the second year a little more extravagant than the first. Bayus said she got the gig after working closely with Morro Bay's tourism department manager, Jennifer Little, on the writers conference. ALTERNATIVE CHRISTMAS TREES Teri Bayus got 12 individuals and businesses to put up crab pot Christmas trees last year; her goal is to have the trees all over the city's downtown area. "[Little] asked me, 'If you could have a whole city for Christmas what would you do?'" Bayus said. "So I came up with all these ideas, not thinking that it was a job interview." Next thing she knew, Bayus was in front of the city's tourism business improvement district advisory board vying for the job alongside two other potential candidates—she got it. "This city doesn't have very many holiday decorations or holiday branding, so I'm helping to hopefully put something together that will stick," she said. On Nov. 1, Bayus took New Times along to a couple of her business meetings to talk about the festival and how she collaborates with various people in the city. 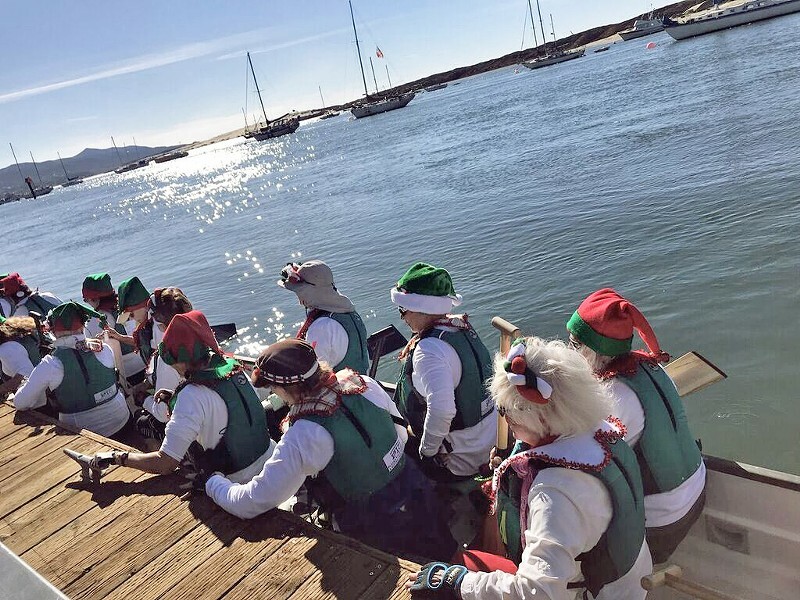 For the second year in a row, the Morro Bay Lighted Boat Parade will kick off Winterfest. Traditionally, the parade occurs on the first Saturday of December, but this year it will start on Friday, Nov. 30. That night, about 10 to 12 local businesses will sponsor boats to be in that night's parade. The newest addition to the evening is that anyone can rent a decorated boat and ride along in the parade. "If you want to have a Christmas party or have your family riding on the lighted boat, you can have the whole boat for the night," she said. "Last year, I rented a boat and put all my volunteers on it because I knew they would be working the next 12 days so I wanted to give them a treat." Dec. 1 will be an even brighter evening, as about 45 boats will set sail through the water with judges keeping an eye on decoration detail and spectators watching from the shore. The catches of the day are cash prizes for parade winners and goodie bags for all participants. 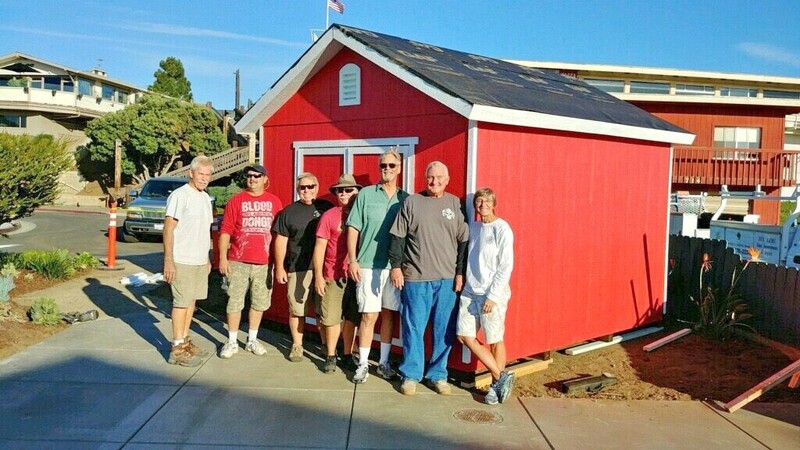 WORKING TOGETHER The Morro Bay Rotary Club built a permanent Santa Claus house for all to visit with Santa. But the parade is something that Bayus stresses about. In between laughs, she said that last year she got the final OK from Homeland Security two days before the big event. Her first stop is the Morro Bay Harbor Patrol where she spoke to Harbor Patrol Supervisor Becka Kelly. Kelly has been on both ends of the parade, watching it with her family and orchestrating the line of boats on the water. "It's a bit chaotic in the lineup because in the past it used to be where, say there's 25 boats participating and we had to get them in order one through 25," Kelly said. "That beginning part is still tricky because everybody is trying to sit in one place because a boat doesn't stay in one place. The tide is pulling us in one direction and the wind in another." Bayus brought in reflective plastic numbers so boats don't have to be in order and judges can easily tell who is who. As for the tide, everyone will keep a close eye on the tide predictions. ELFING AROUND In addition to the evening grandeur of the Lighted Boat Parade, paddle boarders, kayakers, and surfers are welcome to a day parade. The two talk about the Harbor Patrol's soon-to-be sponsor for its boat that will cruise in the parade on Nov. 30 and Bayus' determination to have more crab pots throughout the city's downtown and Embarcadero areas. Cambria has scarecrows around the harvest season, so Bayus wanted something similar for Morro Bay. Something that people can grab a map and scout for, walk around and stumble upon, or something families in a car can drive around and spot. Last year, crab pot Christmas trees made their first appearance. This isn't your typical holiday decoration, as the silhouette of the tree is made of stacks of crab traps (also known as crab pots). "It's perfect for the area because if there are high winds, it's not going to be knocked down," she said. "It's not much to see during the day but at night when it's lit, it is stunning." About 12 were scattered around the city, and she's hoping to increase that number this year. That leads her to Giovanni DeGarimore, the owner of Stax Wine Bar and Giovanni's Fish Market to persuade him to purchase a crab pot tree for his business front. DeGarimore said he's always willing to participate in giving back to his community in any way he can; it's his favorite thing to do. "Doing business in Morro Bay day to day isn't always exciting, but being able to help is my favorite part," DeGarimore said. He said he loves interacting with the locals and takes pride in seeing people bring their families to his businesses. "People say, 'Yeah I sat in front of the crab tank with angel wings at Giovanni's and now I'm bringing my kids to do it.' It's awesome," he said. "So when you hear all of these stories about multi-generational experiences happening at your establishment, it's like, 'Man, I'm a part of that.'" FROST ON THE COAST Winterfest includes a snow day for families to come in and make snowballs, snowmen, and experience the magic of iced powder. DeGarimore signed up to have his wine bar Stax as one of the stops during the Santa crawl. Bayus lights up when she talks about the crawl. She said that last year there were 250 people dressed as Santa walking from one place to another or riding the trolley together. Bayus has other activities up her sleeve. 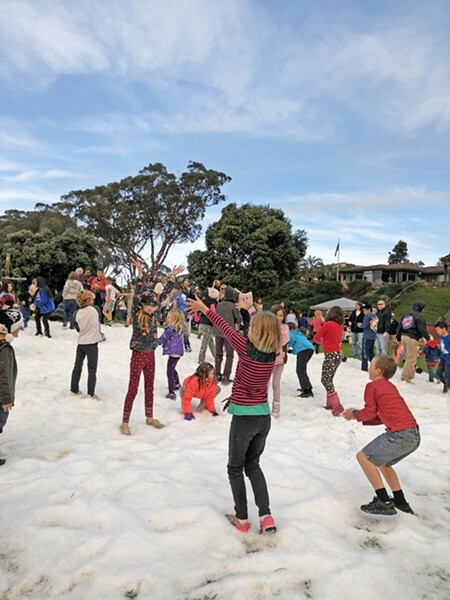 There will be a snow day, when 6 tons of ice will get spread around Tidelands Park with three sections: one for those aged 5-years-old and younger, a hill, and a snowball range. She's created an Elf on the Shelf competition and a gingerbread competition. For 16 days, Santa will be in the Santa House that the Morro Bay Rotary Club built, complete with a Rotary Club member volunteering as Santa's elf. On Dec. 2, the day after the Lighted Boat Parade, is a smaller event for anyone with a kayak, paddle board, or even surf board to dress up and parade along the water. Bayus is happy with the festival so far and hopes it continues to grow. Staff Writer Karen Garcia is posting up at her spot to see lighted boats with hot chocolate at kgarcia@newtimesslo.com.